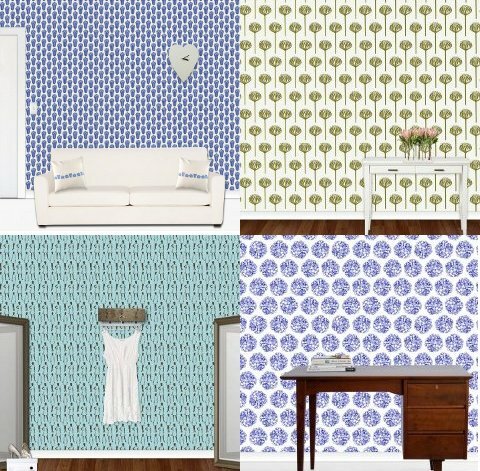 Thanks to Designkist, some of my block printed fabric designs are now available as wallpaper too. It's sold by the square metre, and comes in a self-adhesive paper, or a more traditional non-adhesive textured canvas paper. I'm very excited about this, and am already planning a few more designs. Perhaps something more hand-drawn, that doesn't look at all like block printing. Charcoal, pencil, or chalk pastel, perhaps. oh my goodness, Jesse, that's great news! how exciting for you! Perfect application for your designs! Love the mock-ups.